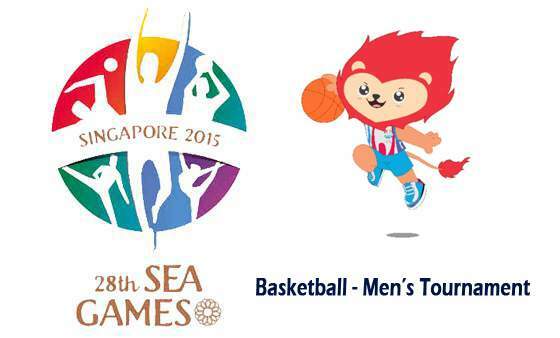 Men's Basketball: 2015 SEA Games Schedule, Standings, Results, Scores, Live Stream - Balita Boss! The basketball men's tournament at the 2015 Southeast Asian (SEA) Games will be held in OCBC Arena Hall 1 in Kallang, Singapore from June 9 to June 15 2015. Hosts Singapore will kick-off their campaign against the Myanmar on June 9. Singapore is in Group B along with the Thailand, Cambodia, Myanmar and Vietnam. Philippines, the 2013 Men's Basketball SEA games champion, is in Group A along with Malaysia, Indonesia and Timor Leste. Laos and Brunei, the two basketball teams, will not be playing in the SEA Games basketball. The top two teams from the group will advance to semifinals with the Group A winners meeting B runners-up and Group B winners clashing with A runners-up. The semifinals of the Men's Basketball will be on on June 14, with the final and bronze-medal matches scheduled to take place on June 15.